Atlanta launched ATL311, a new app that provides increased efficiency and communication between residents and the city, on Aug. 24. Features of the app include being able to create service requests for a variety of issues such as potholes, missed residential garbage or recycling, dead animal removal and graffiti removal. From there, users can view their current service requests along with its current status. Residents of the city of Atlanta will also be able to pay bills for water and sewage as well as check their balance for these services or establish new ones. The app also provides a “My City” feature in which users can locate their local fire stations, police precincts, MARTA stations, parks and recreation and Atlanta Streetcar stops. Don’t know when garbage day is? 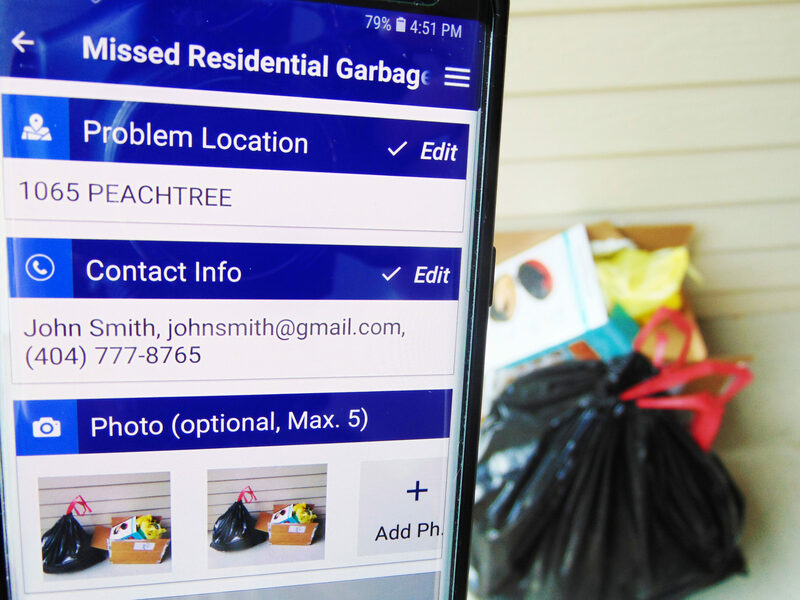 The app also provides a waste schedule for residents with just the simple input of their address. Another convenient feature of the app is “Bike Share.” Through this feature, users, especially those who find themselves in the downtown area or BeltLine often, can reserve a bike to use throughout the day more efficiently than before. Users can pay parking tickets, municipal court tickets and other permits with the “ATL Pay” feature. “I think it is needed even for students because we are also residents of the city and should feel heard too. The only thing is that it has to be used,” Georgia State student Jeremy Allen said. As for marketing purposes, ATL311 takes to social media outlets such as Twitter and Instagram where they post alerts and upcoming events for students, residents and guests to follow. It also features a Facebook feed within the app so users can view live updates and alerts. City council has their own spot on the app which hosts their portraits and bios. The ATL311 app is currently being offered as a beta version for a limited time to allow for users to try out its features and offer any critical feedback. Feedback will be used to update and improve the app before it’s officially released by the city.